United Hospital Center (UHC) accreditation survey by The Joint Commission (TJC) will be unannounced per TJC policy and practice. The purpose of the survey will be to evaluate UHC’s compliance with nationally established Joint Commission Standards. The survey results will be used to determine whether, and the conditions under which, accreditation should be awarded to UHC. 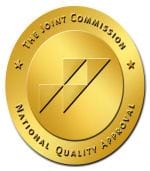 The Joint Commission standards deal with organizational quality of care issues and the safety of the environment in which care is provided. Anyone believing that he or she has pertinent and valid information about such matters may request a public information interview with the The Joint Commission’s field representatives at the time of the survey. Information presented at the interview will be carefully evaluated for relevance to the accreditation process. Request for a public information interview must be made in writing and should be sent to The Joint Commission. The request must also indicate the nature of the information to be provided at the interview. Requests can also be faxed or e-mailed. The Joint Commission will acknowledge such request in writing or by telephone and will inform UHC of the request for an interview. UHC will, in return, notify the interviewed of the date, time and place of the meeting. Survey dates are unknown at this time.